Our Life Down Unda: christmas treats. Like pretty much everyone I know right now- I am addicted to Pinterest. If you haven't visited this website, do yourself a favour and don't do it!! BUT if you have loads of free time, love looking at really great ideas, love DYI, love clothes, love food, love photography, love beautiful kitchens (I could go on forever....) then this website it FOR YOU! I saw these two ideas a few weeks ago and thought I would give them a try this weekend. 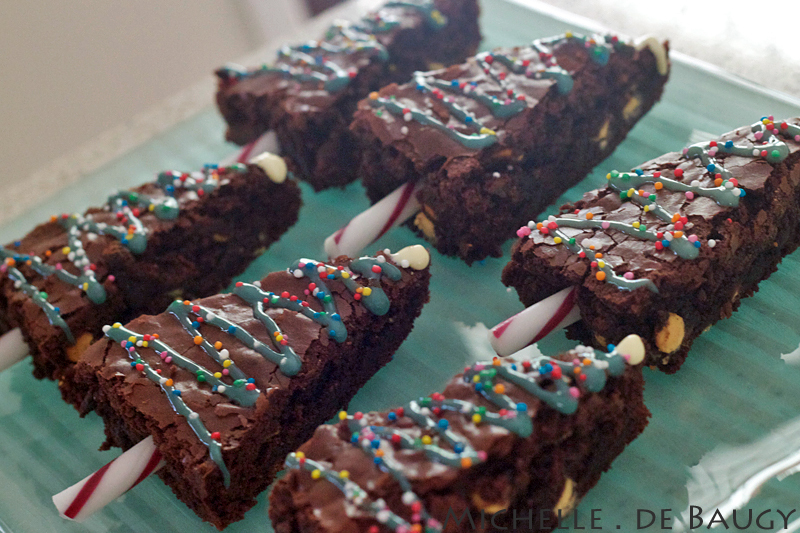 We had some friends over on Sunday and nothing gets people more in the Christmas spirit than brownies! Although these don't look ANYWHERE near as amazing as the ones I saw on Pinterest, they still tasted pretty good. 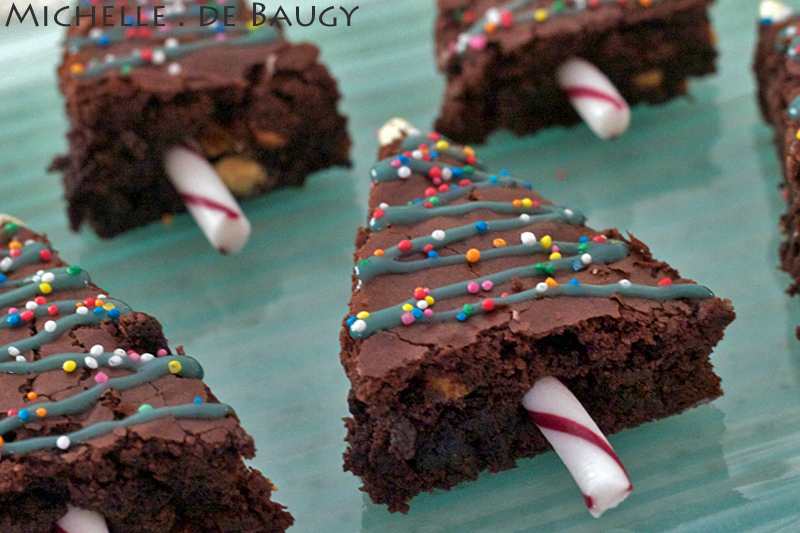 Now these little "santa hat" brownies on the other hand were pretty much an epic disaster. I tried a little bit of a different idea and it just didn't really work. 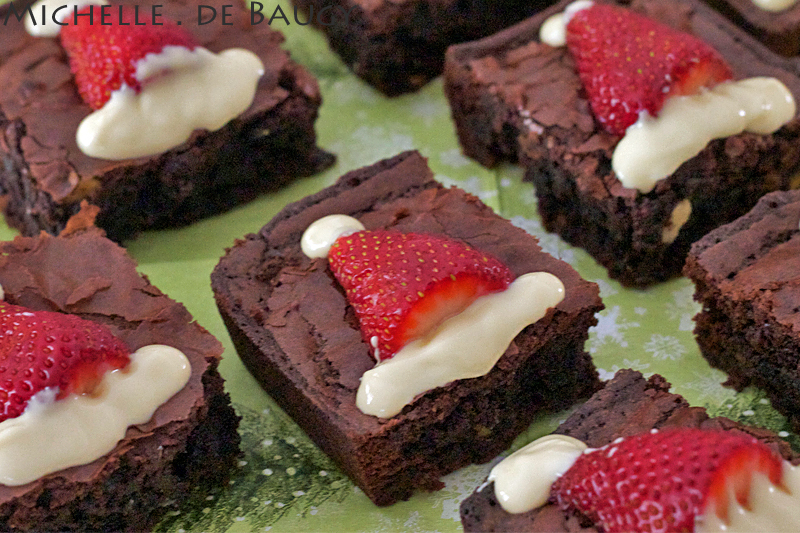 I read on one website to melt white chocolate and pipe it on the brownies but it just melted everywhere and didn't really ever set. 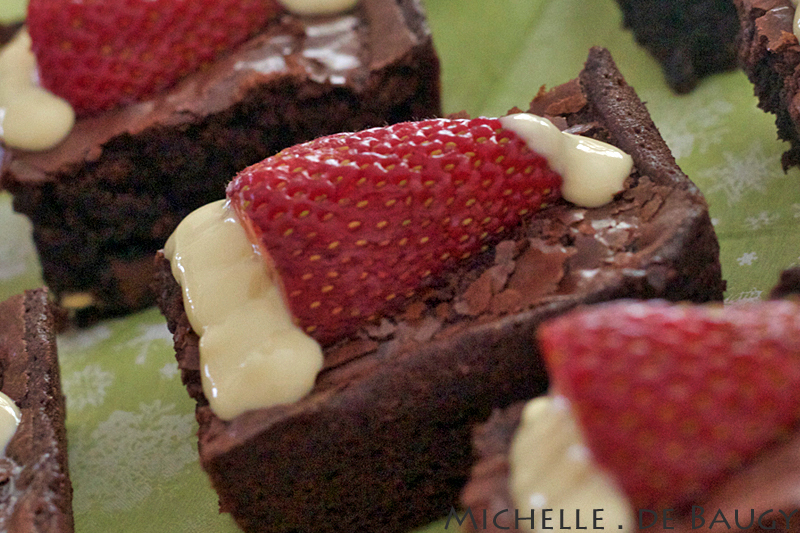 I think if I tried to make these again I might use thicker icing instead. 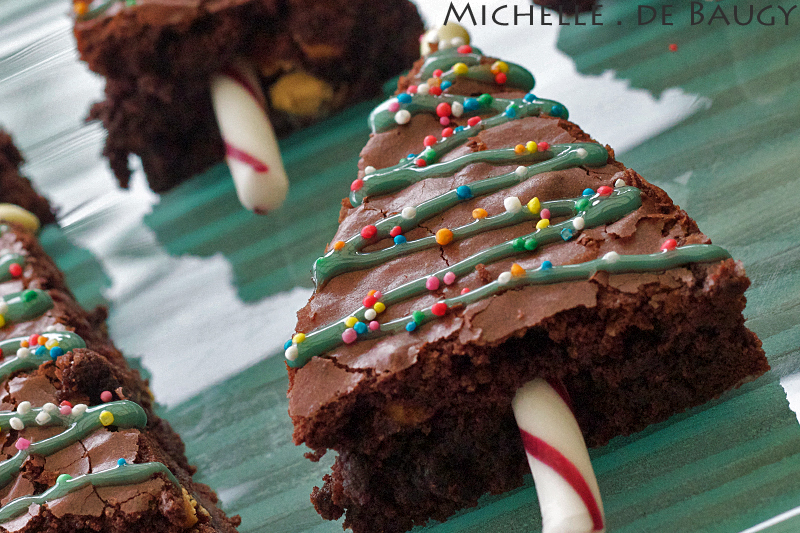 What fun holiday treats have you made so far this season? ?